More than two years after Wells Fargo & Co. erupted into scandals, Chief Executive Officer Tim Sloan returned to Capitol Hill to lay out his efforts to clean up the mess. The bank has apparently made little progress in winning over lawmakers. However, all eyes were on Rep. Alexandria Ocasio-Cortez (D-NY) after she suggested Wells Fargo was “involved” in the caging of migrant children because the bank used to finance private prison companies CoreCivic and Geo Group during congressinal hearing. “Mr. Sloan, why was the bank involved in the caging of children and financing the caging of children to begin with?” the freshman House Democrat and economics major asked Wells Fargo CEO Timothy Sloan. “Uh, I don’t know how to answer that question because we weren’t,” Sloan replied. “Uh, so in finance — you, you were financing and involved in financing of debt of CoreCivic and Geo Group, correct?” she shot back. “OK, so these companies run private detention facilities run by ICE, which is involved in caging children, but I’ll move on,” AOC retorted. Of note, Wells Fargo was prominently featured in a November 2016 report along with nine other banks for lending CoreCivic and GEO Group $444 million and $450 million respectively during the Obama administration – the same period of time during which a a photo of caged children misattributed to the Trump administration was taken. Wells Fargo and other banks have decided to reevaluate their lending activities to private prisons amid controversy over the Trump administration’s immigration policies. 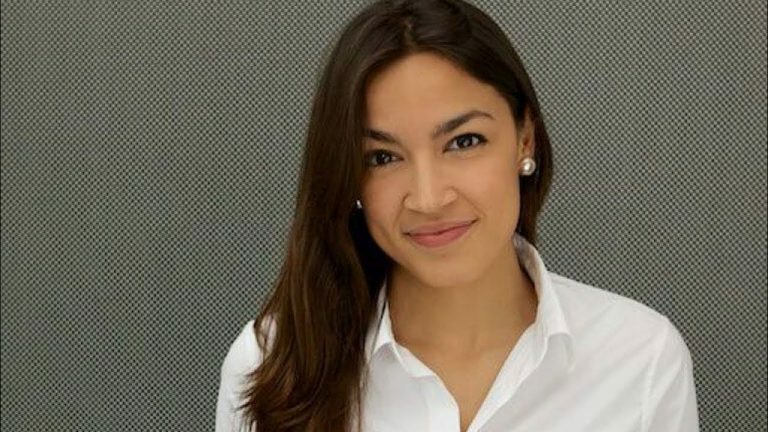 AOC then shifted gears, asking Sloan if Wells Fargo should be involved in paying for environmental cleanup if a bank-financed oil project such as the Dakota Pipeline were to leak. The responses to AOC’s line of questioning have been entertaining to say the least. Why in the hell are we paying to educate @AOC as she learns (at a snails pace) on the job? She’s making $175K while she attends fantasy camp. And cutlery companies for stabbings! This entry was posted in Banking and tagged Alexandria Ocasio-Cortez, Wells Fargo on March 12, 2019 by Bone Fish. This entry was posted in Economy and tagged Alexandria Ocasio-Cortez, Socialism on January 18, 2019 by Bone Fish.